As we travel through the glorious hills, glens and Straths of Highland Perthshire it is blatantly obvious that seasons are changing rapidly! Autumn brings with it plenty of treats to lovers of nature and the great outdoors. The trees turn from vivid green to an array of golds and reds which turns every woodland into an artist’s dream. Perthshire (also known as the Big Tree County) is the perfect place to witness this spectacular sight, every corner that you turn or wind in the road unveils another canvas that Mother Nature has painted for you. As if this is not enough, places such as Enchanted Forest enhance the beauty by lighting up the forest at night, playing on the colours that autumn gifts us. If you have never been before we highly recommend it (visit www.enchantedforest.org.uk for more details), bring your tickets to Highland Safaris after for a 2 for 1 deal in the Red Deer Centre. The changing colours of the leaves signals a changing in the temperature. At Highland Safaris the fire is roaring every day to make sure that everybody is nice and cosy. The Highland Safaris café has a constant supply of homemade, autumnal soup that will warm your cockles, accompanied with a steaming mug of hot chocolate you will be ready for all that autumn throws at you! The colder weather outside also makes our local mountains come alive with wildlife – an absolutely fantastic time for coming out on a Safari. Plenty of smaller animals such as dormice, hedgehogs and bats are beginning the race for food, building as much fat deposits as they can to survive the harsh winter months in hibernation. The most special of events in the Red Deer calendar starts in the autumn – The Rut. The majestic stags start to compete for dominance, they roar across the hillsides and through the glens. Antlers lock in a fearsome battle, a display of sheer power unrivalled in our nation. 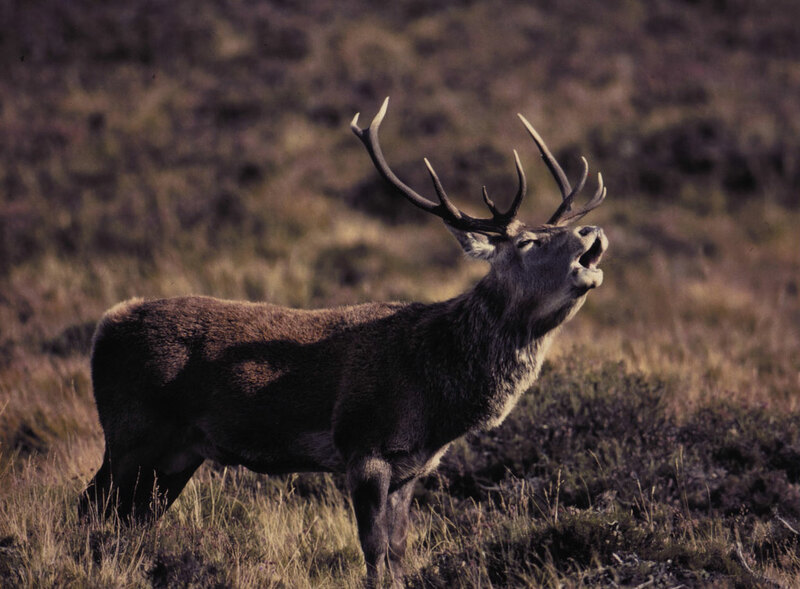 If you have never been in the Highlands during the Rut come and witness it first-hand, it is a spectacle you will not forget!